I have mentioned many times before, and that the squirrels in my neighborhood are very very naughty. There is nothing that they won't eat. Caught red-handed, these squirrels chewed through the top of my garbage bin, through the body of the bin, and got inside to find foods. Then they brought the entire neighborhood and beyond over! I couldn't believe the big hole they chewed through, and the blood stains that they left. The garbage can had a thick layer of plastic, but they managed to chew right through it. I will need to find a new one in spring! Oh yes, those cute little squirrels do a lot of damage. Our trash can lid has a big hole in it. It seems like they should have lots of natural food around with acorns and berries or whatever they eat. maybe a metal can and lid would be better than plastic. Oh my gosh! Is that true? How can those little things be so hungry! They really are such pests. They dig up my bulbs and a couple of years ago they managed to get inside the loft space and chewed through lots of boxes before we managed to trap them and get them out. So best of luck with your garbage! They are desperately hungry I guess. in my old place there is a big oak tree that housed many squirrels. i find myself feeding them seeds. Oh dear - too naughty. There isn't a garbage can made that will keep out wildlife. You should see what a bear will so. Boom & Gary of the Vermilon River, Canada. Icy, they can be terrible feisty but chewing through the garbage bin is really bad. 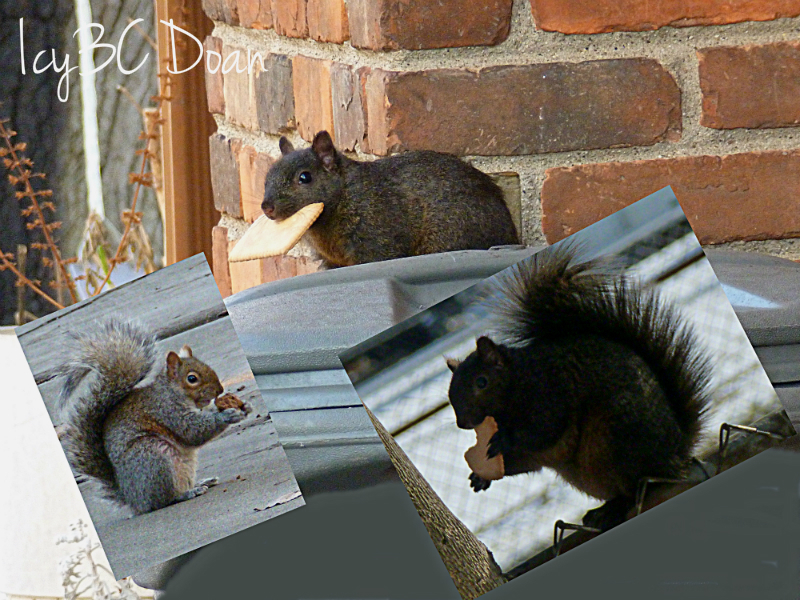 This time of year though they are much more aggressive when scavenging for food.